St Augustine of Hippo is reputed to have once said that ‘to sing is to pray twice’. Many of those who hear the choir at Lincoln Cathedral in full voice will understand this sentiment. Lincoln Cathedral has echoed to the sound of choral music for more than 900 years and today, we continue to play our part in maintaining that long tradition of musical excellence. With a world-wide reputation for the quality of its music making, Lincoln Cathedral is truly a centre of musical excellence that will lift the spirit of all who hear its beauty. Of course, Cathedral music is about far more than simply lifting the human voice in the glorification of God, it is associated by so many with the majestic sound of the organ, from the lowest notes that you can feel vibrating through to your core, to the highest notes that can lead your thoughts to the rafters, music permeates the essence of Lincoln Cathedral. Maintaining the quality of music at a Cathedral such as Lincoln is an ongoing challenge – choristers grow and move on, organs need tuning and conserving, but amid this turbulence, heavenly music continues to enhance the regular pattern of worship. Lincoln Cathedral is lucky to have a choir of such quality. It is through the hard work and dedication of so many people, from the Director of Music to the newest probationer in the choir, that it all comes together, seemingly with such ease. The Music Fund works tirelessly to support the ongoing sustainability of music at the Cathedral; through holding fundraising events, to sourcing the much needed funding for choristers. Choristers are funded in three ways – from small donations from individuals that together, are enough to provide for a youngster’s musical education here at the Cathedral, through annual Choristerships to permanently named Choristership endowments. 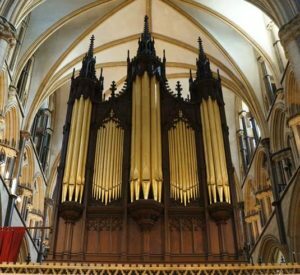 In addition, individuals are able to support music at Lincoln Cathedral through sponsorship of the Cathedral’s music for a day, adopting an organ pipe or perhaps making a donation to play the Cathedral’s magnificent Father Willis organ. Since September 2016, the opportunity to become a Chorister at Lincoln Cathedral has been widened. The choir is now made up of youngsters (20 boys and 20 girls) from a variety of schools across the city and beyond, all of the young choristers are there because of their ability and desire to sing. 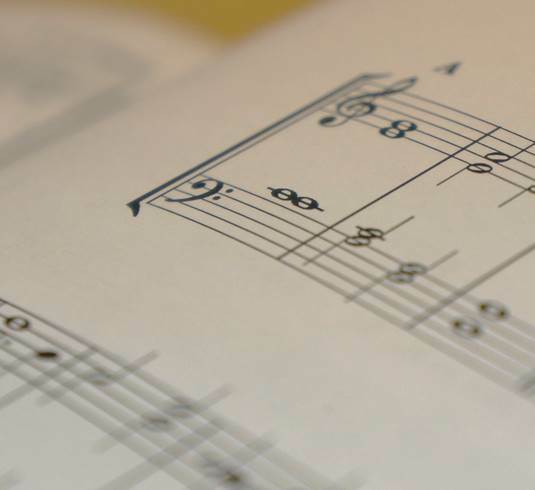 With a new ‘Song School’ in the precincts, the quality of the musical education provided to our young Choristers and Choral Scholars, has never been higher. Set in the very heart of the building, Lincoln’s organ is one of the finest in Europe. It was the last Cathedral instrument completed during the lifetime of ‘Father’ Henry Willis. 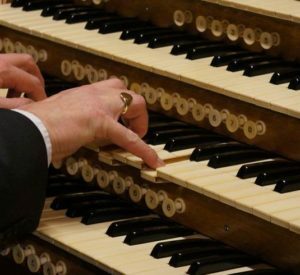 The organ is outstanding both in accompaniment and also as a solo instrument; celebrity organists from across the world take part in the programme of organ recitals at the Cathedral. Tuned every month, the organ pipe adoption scheme as well as donations to play the organ, help to fund this essential ongoing conservation. The challenge to the Music Fund is to raise enough money to be able to provide the level of musical excellence that we currently enjoy, not only today, but long into the future. However you would like to support music at Lincoln Cathedral, be it volunteering your time, Cathedral membership, organ pipe adoption, donating towards Choristerships, sponsoring the Cathedral’s music for a day, or even including the Music Fund in your Will, we would love to hear from you. Be it to help with Music Fund events, or to serve as a volunteer fundraiser, we would love to hear from you. For more information about volunteering please click here. Starting from £24 per year, becoming a member and targeting your membership donations towards the Music Fund is a popular way to show your support of Cathedral music. Adopting a pipe is a fabulous way to support the Music Fund and know that your donation is going towards the conservation of the organ. For more information about adopting an organ pipe please click here. You can support Cathedral music by donating towards a Choristership or a Choral Scholarship either in part or in full as you may wish. 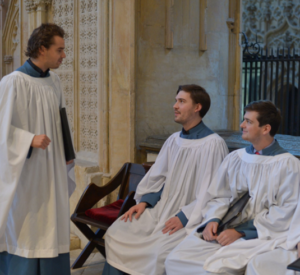 For more information about Choristerships and Choral Scholarships please click here. For many people, leaving a gift in their Will is the ideal way for them to show their support for causes that have meaning for them. For more information about leaving a gift to the Lincoln Cathedral Music Fund in your Will please click here. Should you wish to speak to us about supporting the Music Fund, please contact 01522 561614 or email fundraising@LincolnCathedral.com and we shall do all we can to assist.